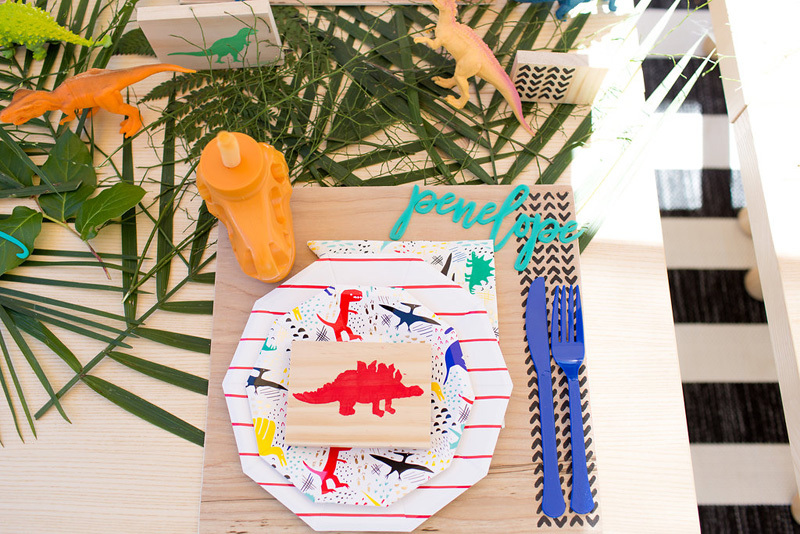 How cute is this dinosaur themed 1st birthday for Penelope Pots Floral Design’s son, Auggie?! 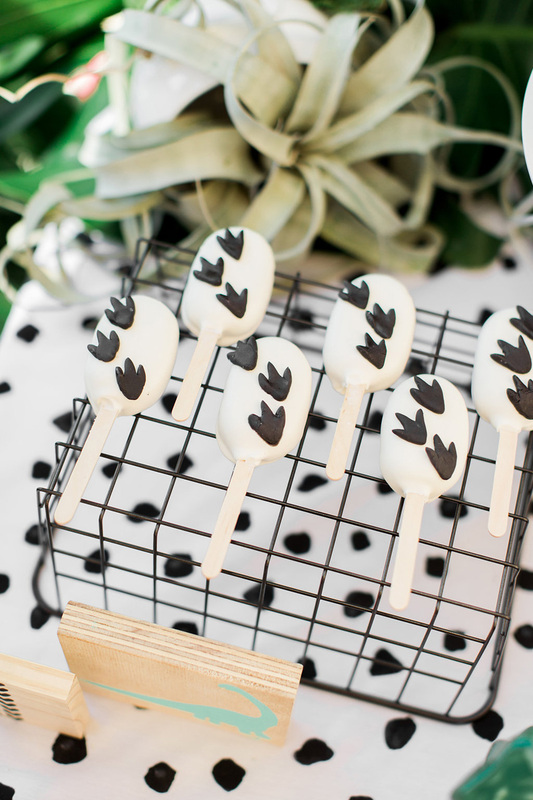 This little dino couldn’t get any more adorable with his little birthday smile. 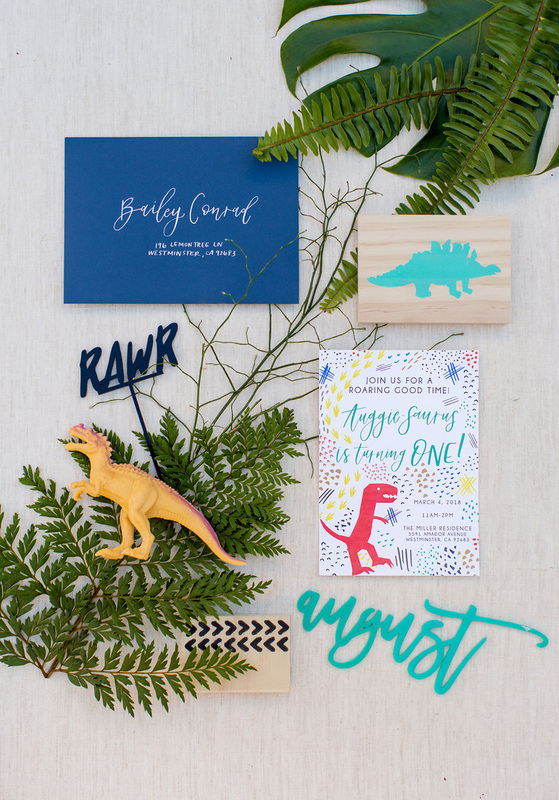 I was asked to create the invitations which were to match the beautiful plates from Daydream Society. 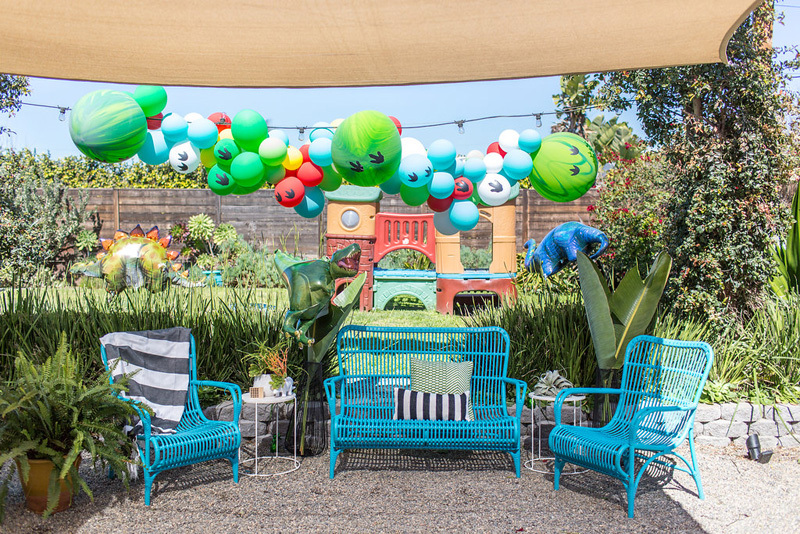 These fun colors and patterns made for a bright display of balloons, furniture and accents. 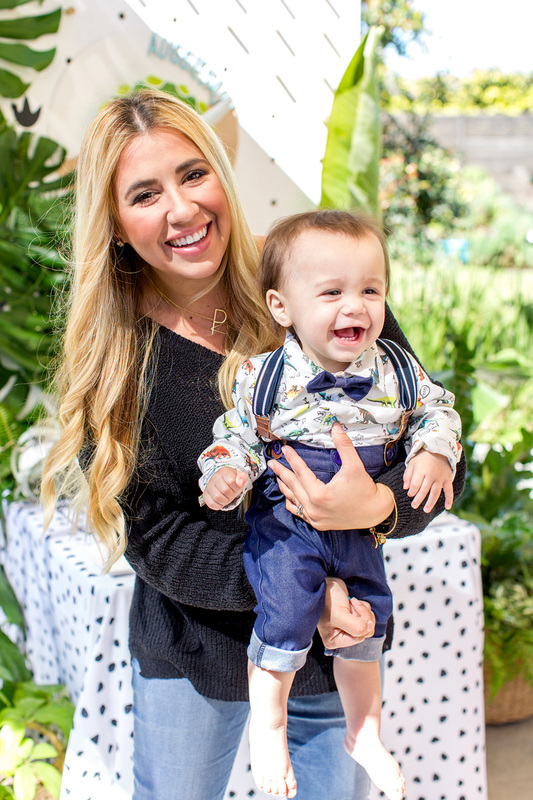 Check out the beautiful photos below!